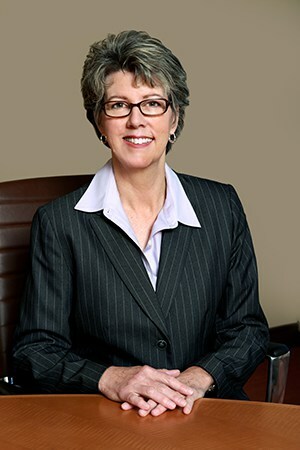 Eileen V. Dooley has practiced as a civil litigator since 1981, concentrating on representing litigants in workers’ compensation cases since 1992. She has achieved a well-rounded perspective based her experience representing injured workers, employers and insurance companies. Working with our team of Philadelphia personal injury lawyers at Haggerty, Goldberg, Schleifer & Kupersmith, P.C., she helps injured workers obtain the compensation they need after sustaining injuries in the workplace.Backed by more than 30 years of solid litigation experience, Eileen has guided and supported thousands of clients from injury to trial and recovery. Well-versed regarding all things workers’ compensation, she has authored course materials for Pennsylvania Bar Institute publications on workers’ compensation topics.Attorney Eileen Dooley believes in giving back to the community. She has been acknowledged annually on the First Judicial District’s Pro Bono Honor Roll for her commitment to providing legal assistance to indigent individuals. She provides pro bono legal services to adults and children with special needs. For more than twenty-five years, she has served as a court-appointed attorney for children who have been removed from their families and committed to the care of the Commonwealth. For her efforts, she was recognized as a Distinguished Child Advocate by the Support Center for Child Advocates.Attorney Eileen Dooley has over thirty years experience representing clients before Workers’ Compensation Judges, the Appeal Board, Commonwealth Court and Supreme Court. She is licensed to practice in the U.S. District Court for the Eastern District of Pennsylvania and the Commonwealth of Pennsylvania. She is committed to using the expertise she has developed to provide you with the strategic legal representation you need and deserve.